If you didn’t know it already we are living in a ‘video first’ social media world. 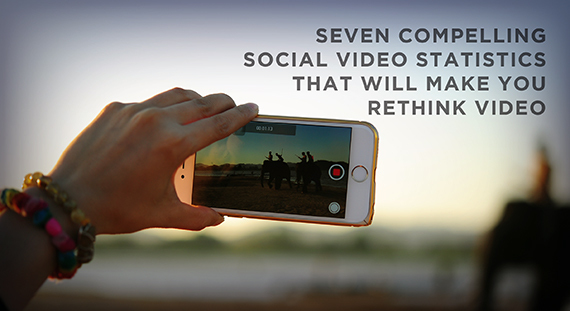 More and more content is video based on platforms like Facebook and Instagram. If you want to reach more people and create more impact for your church then you need to understand that all social media platforms are moving towards this idea that video is their primary content post option. 1) 85% of Facebook Video is watched with the sound off. Did you know that Facebook video has a magic caption tool which will add captions automatically to your video? You can go in and make any minor adjustments to the captions before your post goes live. I used it on this post recently (subtitles only work in Facebook itself). 2) 52% of your audience prefer pre-recorded video content, while 48% prefer live video content. They don’t mind much if it isn’t live. Just as long as it is engaging. The only caveat is that live video will naturally reach more people at the moment as it isn’t throttled back by Facebook. 3) 39% of your audience are more likely to finish videos with subtitles. Want more engagement and interaction? This relates to point one as well. Subtitles is just a super smart move to make. Simply pushing your video announcements onto social won’t work. 5) 73% of your audience are deciding in less than 30 seconds if they will watch to the end of the video (43% decide in less than 15 seconds!). You have to really capture their attention in the first 15 seconds. Media people. No countdown graphics! 6) Only 39% of Marketers are creating Square and/or vertical videos. As we live in a mobile and video first world. Square video stands out and is clearly the way forward to reach more people. Just on a practical level. The square videos are bigger on a smartphone screen than your 16:9 video. It will make your audience stop. It’s not to say that 16:9 doesn’t work. Just that there is an opportunity here. Relating back to point 6, anything that will help you get noticed is good. Also when people are on their mobile they are much more likely to quickly scan through their feed. Getting that initial attention and hover is so important. Subtly doesn’t work. Here is a great example of a square and mobile-friendly video that gets attention. 8) 56% of your audience primarily watches video in the evening. And another 38% later at night. Your audience generally has more time in the evening to watch video. So scheduling becomes especially important. If you create a long video and post it in the morning you are less likely to be seen. Have you used any of these tactics? Got questions about the statistics? Comment below. Great job man on putting this together. This really helps! 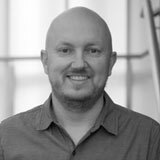 Fantastic research Steve – thanks for sharing! Thanks Jeremy! I came across it this morning and thought it was too good not to share! Thanks for catching that Bill. All fixed. Wow, interesting stats, Steve! Definitely worth passing on to our clients. Since June last year we have been Facebook live streaming and then posting our Sunday am service ….and religiously keeping up our frequent posting from the church FB page. Result:- (we’re a small church under 200 members), over 40,000 post reaches, (our content on someone’s screen) over 10,000 post engagements (someone clicked on a post) and over 30,000 minutes of video viewed since June…oh and all completely FREE of charge because it’s Facebook! Do it guys. And take Steve’s advice on all the above. It’s vital we do.